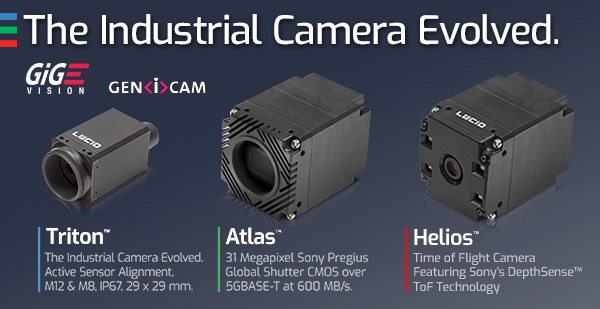 The Triton camera setting a new price performance standard in the industrial camera market. 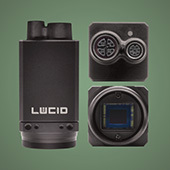 A compact 29×29 mm size, M12/M8 connectors and IP67 protection make the Triton camera suitable for any environment. Ranging from 0.4 to 20MP including the 5MP Sony IMX250MZR / MYR polarized, 12.3MP IMX304 and 20MP IMX183 sensors. Starting at $365USD. The large format, high resolution Atlas featuring a 5GBASE-T PoE camera capable of 600 MB/s over standard Ethernet cables up to 100 meters. Ranging from 5MP at 98FPS to 31.4MP at 17.9FPS Sony Pregius sensors. 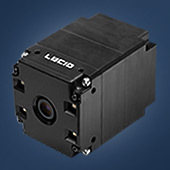 First models include the 31.4MP Sony IMX342 APS-C format global shutter CMOS, the 19.6MP IMX367 and 16.8MP IMX387 sensors. 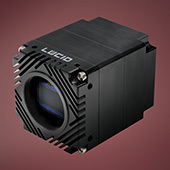 The Helios ToF camera featuring Sony’s DepthSense MX556PLR back-illuminated ToF image sensor with high NIR sensitivity, 10μm pixel size and high modulation contrast ratio. The 0.3MP Helios has a 640x480px resolution running at 60FPS.